Is my application stateless or stateful ? I do not claim to be an ‘expert’, just by writing this post 😉 It just (briefly) lays out some strategies for scaling Java EE applications in general. Scalability is not a standardized component within the Java EE Platform specification. The associated techniques are mostly vendor (application server) specific and often involve using more than one products (apart from the app server itself). That’s why, architecting Java EE applications to be scalable can be a little tricky. There is no ‘cookbook’ to do the trick for you. One really needs to understand the application inside out. Scaling Out: In this process, more machines or additional server instances/nodes are added. This is also called clustering because all the servers are supposed to work together in unison (as a Group or Cluster) and should be transparent to the client. Ok so now you have scaled out – is that enough ? Scaling out is fine if your application is stateless i.e. 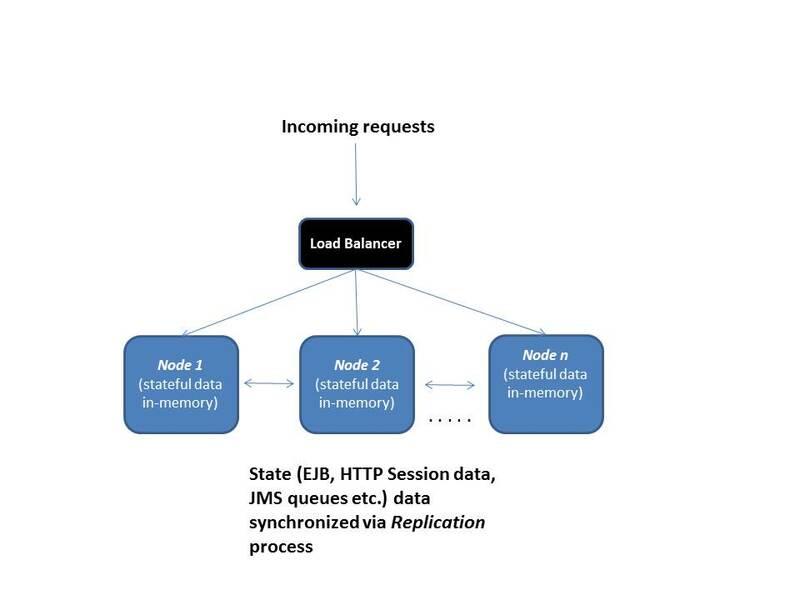 your application logic does not depend on existing server state to process a request e.g. RESTful API back end over JAX-RS, Messaging based application exposing remote EJBs as the entry point which use JMS in the back ground etc. What if you have an application which has components like HTTP session objects, Stateful EJBs, Session scoped beans (CDI, JSF) etc. ? These are specific to a client (to be more specific, the calling thread), store specific state and depend on that state being present in order to be able to execute the request e.g. 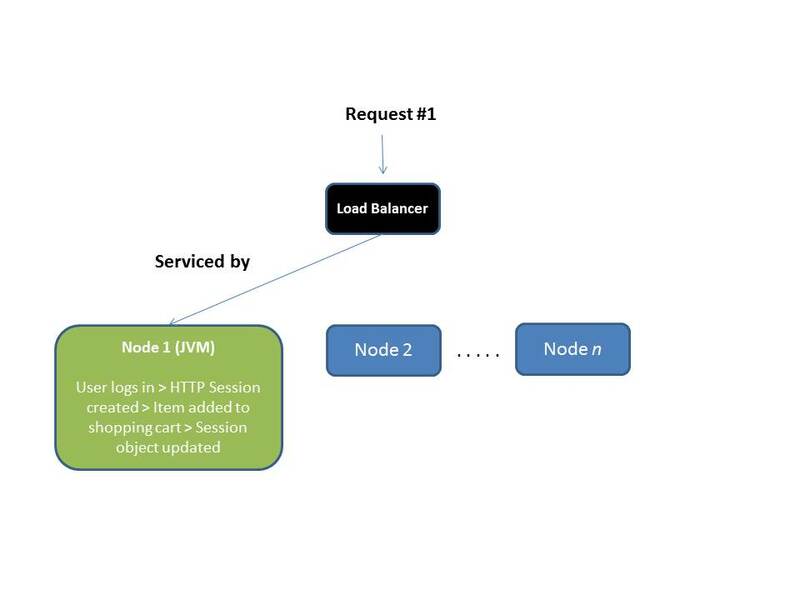 a HTTP session object might store a user’s authentication state, shopping cart information etc. 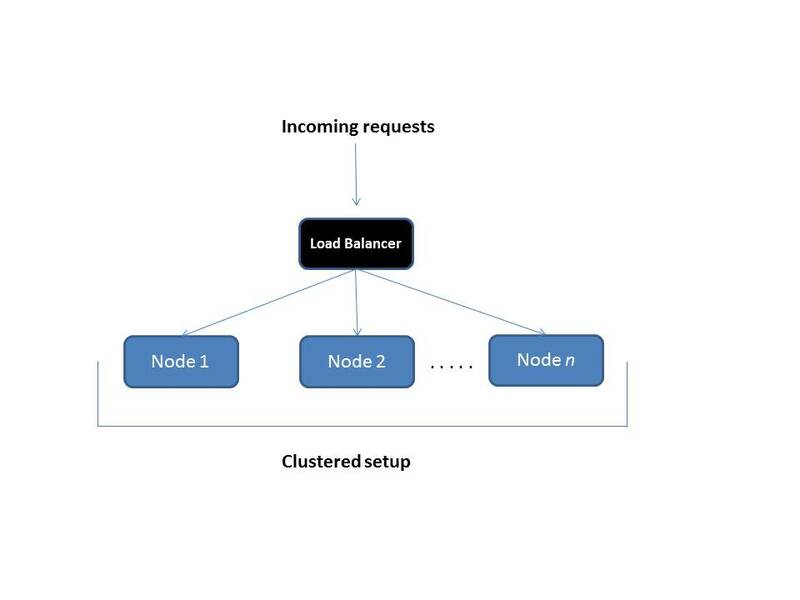 In a scaled out or clustered application, subsequent requests might be served by any cluster in the node. 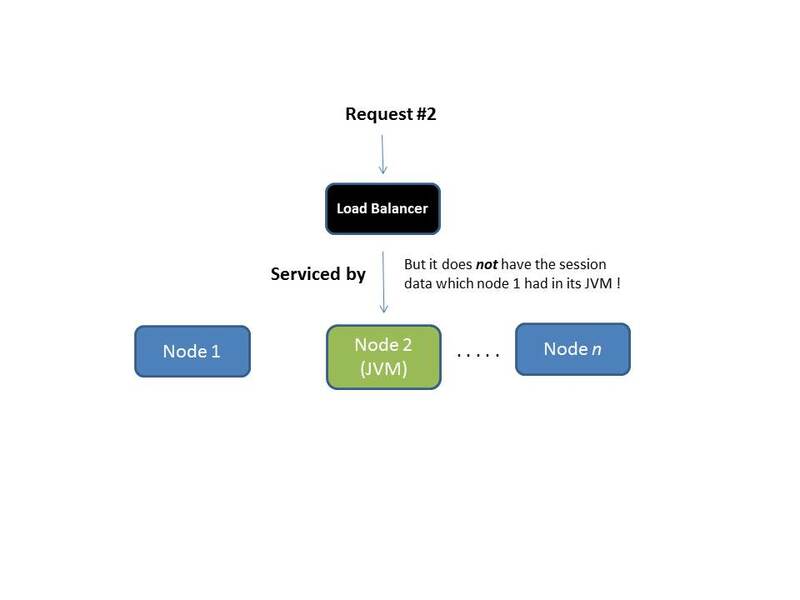 How will the other node handle the request without the state data which was created in the JVM of the instance to which the first request was passed to? 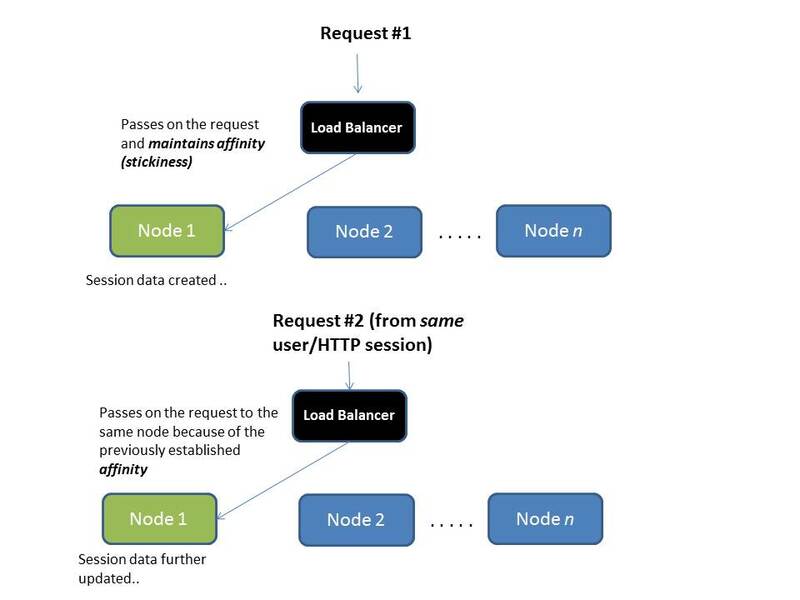 Sticky Session configuration can be done on the load balancer level to ensure that a request from a specific client/end user is always forwarded to the same instance/application server node i.e server affinity is maintained. Thus, we alleviate the problem of the required state not being present. But there is a catch here – what if that node crashes ? The state will be destroyed and the user will be forwarded to an instance where there is no existing state on which the server side request processing depends. 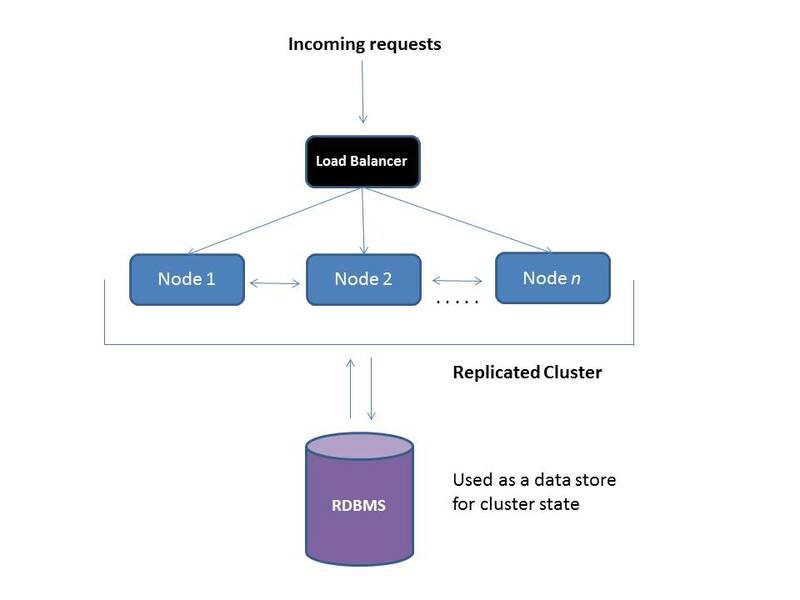 Cluster replication is specific to your Java EE container/app server and its best to consult its related documentation on how to go about this. Generally, most application servers support clustering of Java EE components like stateful and stateless EJBs, HTTP sessions, JMS queues etc. 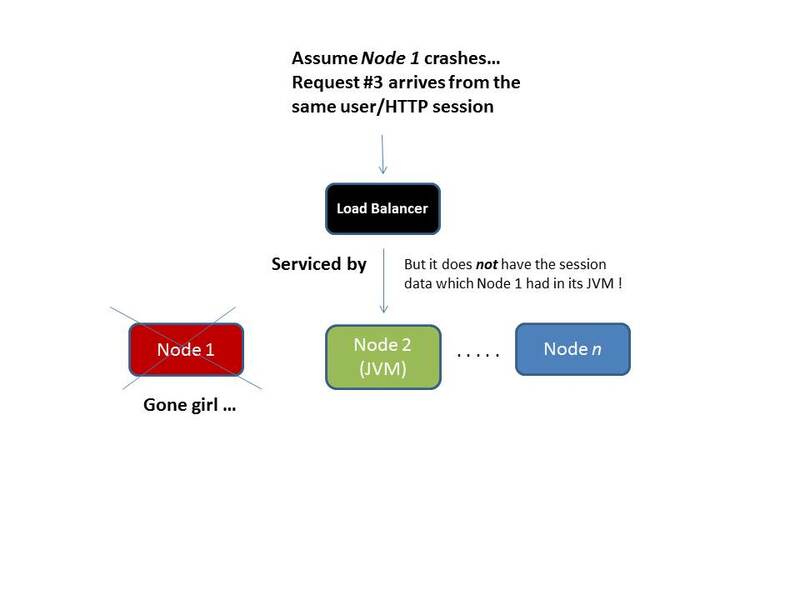 This can be avoided by storing session data and stateful objects in another tier. You can do so using RDBMS. Again, most application servers have inbuilt support for this. This kind of architectural setup means that application server restarts do not effect existing user sessions – it’s always nice to patch your systems without downtime and end user outage (not as easy as it sounds but definitely and option!). 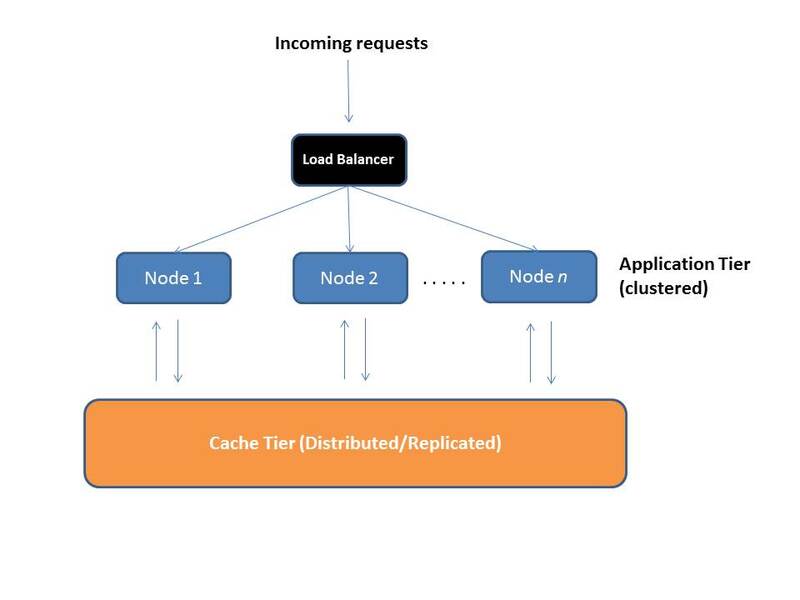 In general, the idea is that the app tier and web session caching tier can work and scale independently and not interfere each other. Replicated: All cache nodes have ALL the data i.e. each cache server contains a copy of the entire data set. High Scalability – great resource! Feel free to share tips and techniques which you have used to scale your Java EE apps.